Never arrive with a wrinkled suit again! 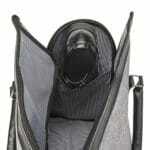 Our Convertible Suit Saver converts from a duffel bag to a hanging garment bag in mere seconds. 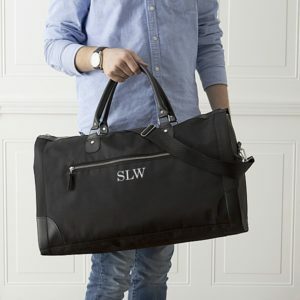 A great gift for business travelers and out-of-town groomsmen. Scroll down for video of the Suit Saver in use. 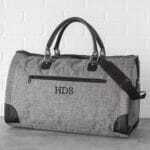 Free Personalization: We’ll embroider the bag with up to three initials for no extra cost. 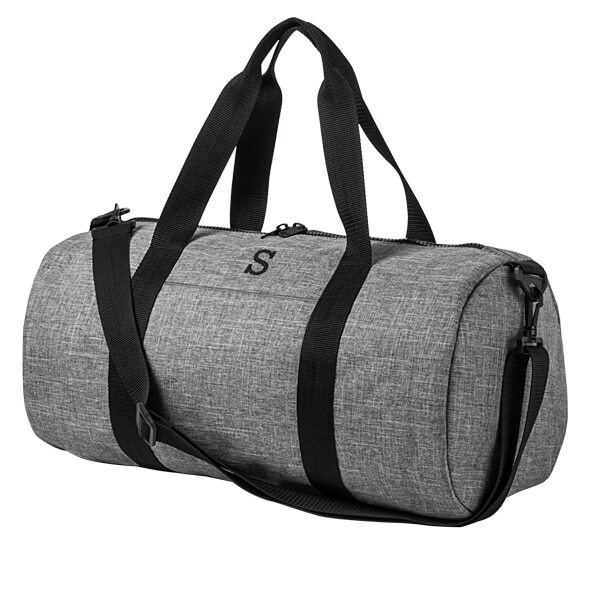 Simplify your luggage situation with our amazingly efficient Convertible Suit Saver Duffle! 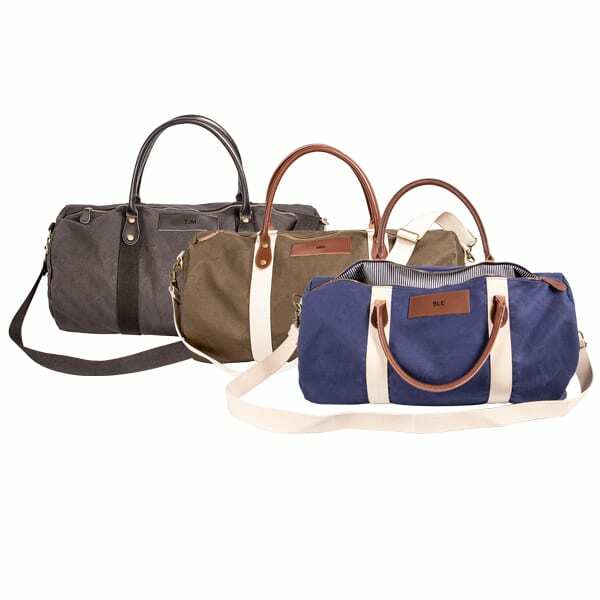 This hanging duffle bag is constructed from polyester and vegan-friendly faux leather, and switches from a full duffle to a garment bag with ease. It also features separate compartments for both clothes and shoes inside: containing two outer zipper pockets, a front zipper pocket, and two open inner pockets, you’ll be able to organize your accessories quickly and conveniently. Whether it be for a formal business trip or a casual weekend away, this convertible duffel bag makes a great groomsmen gift or “congratulations!” present to celebrate everything from promotions to graduations. 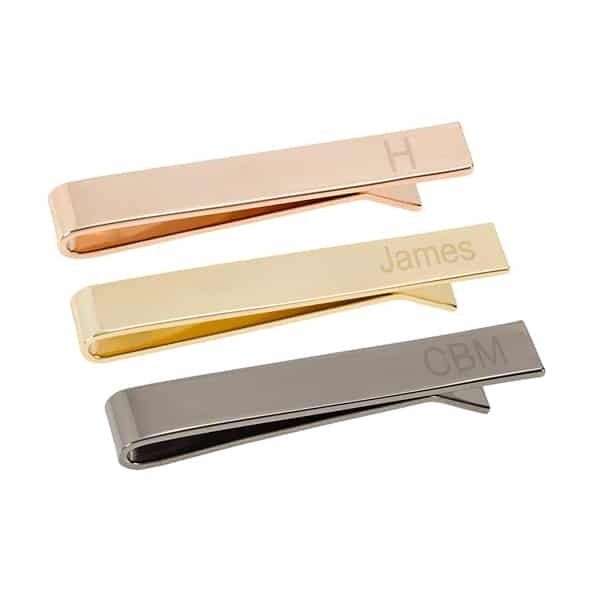 We will even personalize the front with one to three initials at no additional cost! 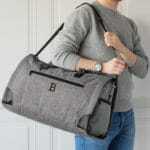 Is this garment bag easy to clean? We recommend gently spot cleaning any trouble spots with a small dab of laundry detergent. You should then let the bag air dry. My crew loves them! The bridesmaids are wanting them now too! The Suit Saver is awesome! 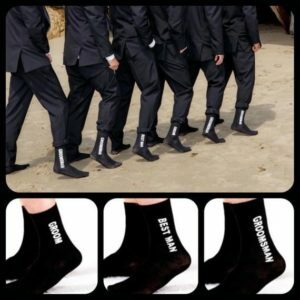 You can tell it's of great quality and the initials that I selected for each groomsman came out perfect. Big thanks to The Man Registry who got me the bags in time for my wedding and were super easy to communicate with. Highly recommend! I do like the suit saver. It's a quality bag that you can hang up in the hotel closet. The service was excellent. I had a problem locating a delivered package and Chris, specifically, returned multiple e-mails offering to help before my landlord replied. 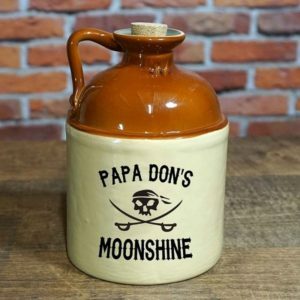 Of course there was no problem with the actual delivery - general incompetence on the part of the people who received and stored the package and were supposed to notify me - however, the willingness to help and the urgency to respond shows that you're dealing with real people who want to help. Which is essential with getting wedding **** done, especially last minute.